Strategic alliances have emerged as an important element of firms’ strategies. Following suit, research on alliances has blossomed, concentrating on the various forms alliances take, the reasons of their existence, and increasingly embracing questions of alliance management and governance tasks. However, most contributions which address the alliance governance problem are yet rather vague and selective in their conception of alliance governance structures as well as the factors which influence their suitability. The aim of this book is to further advance our understanding of alliance governance and to provide recommendations on the problem of alliance governance design. 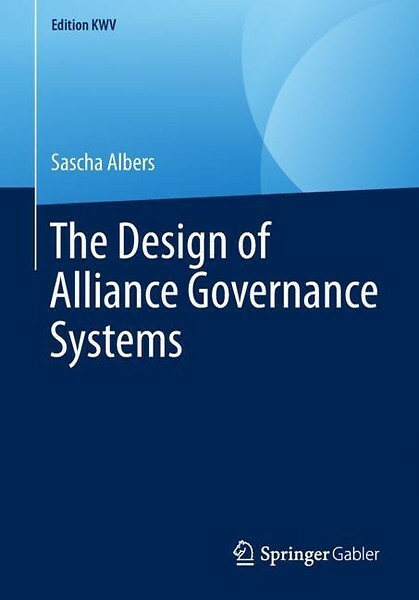 Following the configurational approach, Sascha Albers develops a comprehensive model of alliance governance systems. He identifies relevant structural and instrumental design parameters and analyzes major contingency factors, including member firms’ cultures and alliance experience, number of alliance partners, and trust, which impact the design parameters’ suitability. He finally deducts five configurations, or ideal types, of alliance governance systems which can be regarded as blueprints for the practitioner and as platform for further research for the alliance scholar. Potential readership includes scholars of strategic management and organization theory, interested students in these areas as well as practitioners involved in formulating and implementing alliance strategies. Sascha Albers is Professor of International Management at the University of Antwerp and Antwerp Management School. His research interests include international management, strategic management, and organisation design problems, particularly in the logistics and service industries. His research has been published in major international management and logistics journals, such as the Journal of Management, the International Journal of Physical Distribution and Logistics Management, and Transportation Research A. Sascha regularly presents his research at international conferences such as the annual meetings of the Academy of Management (AOM), and the Air Transport Research Society (ATRS). He has been a visiting scholar at the Kellogg School of Management, Northwestern University (2002, 2006) and a visiting lecturer and invited presenter at various universities and business schools in Europe, Australia and New Zealand. Sascha has developed and taught successful executive education courses on international strategic alliances, inter-organizational networks, and corporate growth strategies. 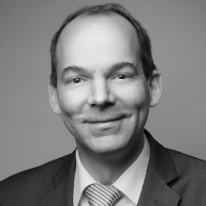 He has worked with organizations such as AT Kearney, Deutsche Bahn, Deutsche Telekom, DHL, DKV Mobility Services, Lufthansa, and Siemens on issues of strategy formulation, alliance governance and internationalization strategy.